The objective of this course is to provide with the basic skills and concepts in the field of phlebotomy. 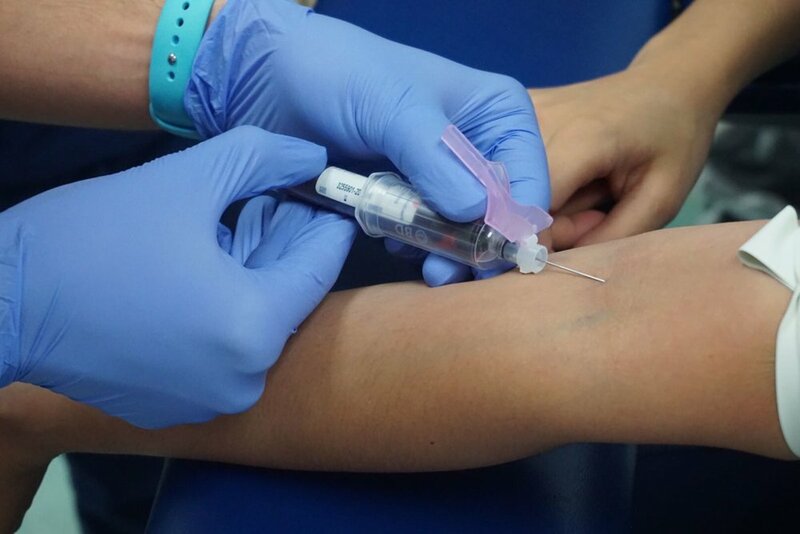 The intent is to capacitate individuals to work with venipunctures and capillary blood draws, as well as urine specimen collection and different types of CLIA waived tests, and special phlebotomy procedures. Training includes: OSHA, CLIA, HIPAA, CPR, First Aid, and Blood borne pathogens. Basics of medical terminology, abbreviations, anatomy and how to relate to laboratory testing will be covered. Proper collection, handling and transportation of specimens, the use of equipment for laboratory testing and personal protective gear will be a major focus for this course.